Certain events within recent British history have really helped to shape our understanding of just how much race can effect daily interactions. We only have to look back to the Brixton Riots in 1981 a response to tension between the Metropolitan Police and the Black community and the more recent London riots of 2011 sparked by the death of Mark Duggan to grasp just how detrimental an issue racial profiling is. Drawing from his own experiences with the Police, Urbain Wolf‘s Custody depicts the pieces in which a family have to place back together following the loss of their son/brother/boyfriend; a young black male who suspiciously loses his life whilst imprisoned in a police cell. 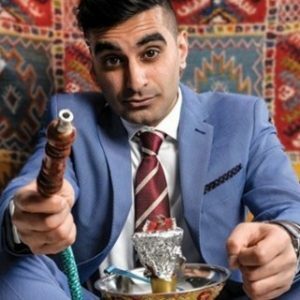 Tez Ilyas wants to make you laugh, and the audience does, for the most part. His walk on song is Ni**as in Paris, you know the one? He recounts an awkward exchange with a DJ, trying to explain the song without saying the name…you know the really famous one with Jay Z and Kanye? He continues by making a quick jibe at Philip Hammond being out of his depth, yes quite. Then slips into a dance routine to the famous bhangra tune (you know the one), claiming the sequence was to show off his dance moves. Ilyas enjoys audience participation and these continue through the evening. The audience seem to enjoy it too; yet these interactions are as customary as you would expect them to be. Desiree has great stage presence. She is engaging and inviting, she wants you to listen to her piece and she isn’t holding back. Her mention of the earlier attack at Westminster is surprisingly in line with how I feel. She says her friends from the USA don’t get how London works, she has done the tourist Westminster thing once, that’s it. Now she lives in Zone something-billion and well, it’s basically Croydon. Having spent the day at home, in Zone 3, I feel much the same. 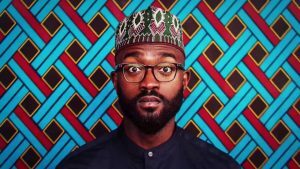 Inua Ellams is a Nigerian born internationally touring poet, playwright, graphic designer and artist. A man with this many talents is bound to put on an interesting show. An Evening with an Immigrant is set up in a small intimate space which adds to the honesty of the show. This isn’t really a play; more an engaging and insightful conversation. 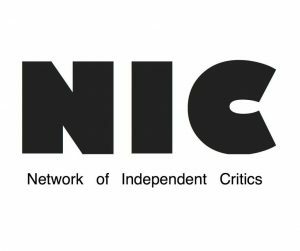 Apply to be apart of the Network of Independent Critics! 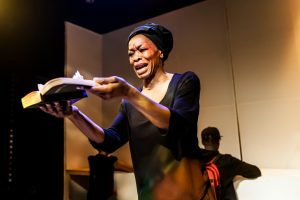 Independent theatre criticism and journalism is on the rise, and with it, is highlighting a range of fresh voices from both a critical and dramaturgical point of view. Last year, founders Laura Kressly (The Play’s The Thing UK blog) and Katharine Kavanagh (The Circus Diaries Blog) founded the Network of Independent Critics, offering the opportunity for bloggers/vloggers and website owners to visit the world renowned Edinburgh Fringe Festival. Travel costs and accommodation attribute to the majority of costs whilst there, and this therefore makes it quite difficult for independent reviewers to visit, therefore potentially missing out on a wealth of cultural content for their sites. Yellow Earth Theatre was formed in 1995 by five British East Asian* (BEA) actors; Kwong Loke, Kumiko Mendl, Veronica Needa, David KS Tse and Tom Wu.The company sought to develop work that would widen the choice and type of roles being offered to BEA actors at that time and to create work that brought together our physical skills and western drama school training that explored our own cultural heritage. It’s official, this era can now be defined as the self promoting, self made era. No longer are we to wait for the latest news bulletins on the 6’oclock news, no longer are we to wait for the latest goings on in the broadsheets; instead- we can click a button at our convenience and are presented with a plethora of videos, memes, articles, opinion pieces, opinion pieces on opinion pieces in a matter of minutes. This has now become our reality, and this is a topic that will no doubt continue making a regular occurrence within theatre, with elements of this phenomenon being picked to pieces and examined closely. 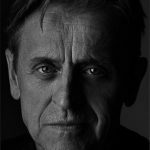 Legendary ballet dancer and actor Mikhail Baryshnikov talks about his latest show, Brodsky/Baryshnikov! Joseph Brodsky was and continues to be a celebrated poet and essayist. Acknowledged for his body of work in 1987 by being awarded a Nobel Prize and also becoming the US poet laureate in 1991, Brodsky’s legacy lives on. Legendary ballet dancer and actor Mikhail Baryshnikov counts Brodsky as one of his dearest friends, and looks to delve into the poet’s works in his latest show Brodsky/Baryshnikov. Read on to find out more about the show. 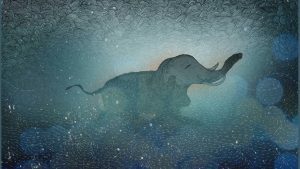 Lauded for his visually stunning features, Tarsem Singh has pushed the boundaries in regards to how audiences are challenged on a creative level. The Fall (2006) marks the director’s second feature film, after the much talked about ‘The Cell’ (2002); seeking inspiration from celebrated Bulgarian writer, Valeri Petrov‘s film Yo Ho Ho. 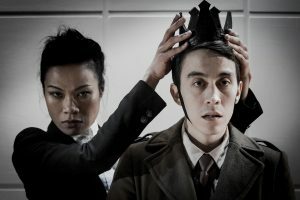 Intertwining spectacle with dark themes, EmpathEyes present a theatrical telling of the cult classic. 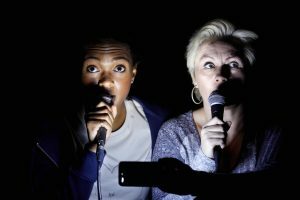 Letters to Windsor House is the latest production from the delightfully named Sh!t Theatre Company, the comedic combination of Louise Mothersole and Rebecca Biscuit. Both experienced performers, this particular concoction tells of their experiences in the notorious London housing market, largely through an investigation of previous tenants’ post, delivered to them with no forwarding address, and the attempts they make to connect with the stories of these enigmatic predecessors. 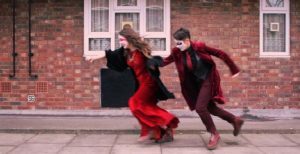 In doing so, they employ their exceptional musical and physical devising skills to explore themes of friendship, community, and the problem of human connection in a fast paced London suburb, interspersed with tongue in cheek political satire that feels both relevant and heartfelt.